I find it to be completely appropriate that, for my first 5 Fandom Friday, I use the link up from the first one ever completed - Gateway Fandoms That Made Me Who I Am Today. I've never fit into the mold that has been expected of me, even from an early age. I have been shaped by a myriad of experiences, people, and events, just as I'm sure that you have, as well. The very same thing goes for the fandoms that shaped me in my childhood and teenage years. WB's Roswell was the very first geekified TV Show to which I became hooked. Looking back now, it was my very FIRST fandom. I didn't miss an episode live unless I had no other choice. I loved how the storyline, although infused with plenty of science fiction, was relatable, as were the characters as they went through various trials and tribulations. I still get a shiver every time I hear Dido's "Here With Me," as it was the show's theme song for the entire time it was on the air (take a look at the video below just to get an idea of the opening credits for each season). This was a show that was way before its time, and which, I feel, didn't get the credit in which it so deserved. I could only hope that if it had debuted just a few years later on WB or The CW, we'd be looking at five or six seasons of Roswell. Compared to other shows (aside from the DC Comics Universe ones) that currently air on that channel, where the acting seems forced and without the emotion, Roswell is on the complete opposite end of the spectrum. The series is based on a book series, though, and it may be due time for a visit to see if there's any resolution to the completely open-ended series finale. Long before ever discovering the UK version of Queer as Folk, I became, and still am, a mega fan of the US version of QAF. Luckily, Showtime was on our cable package when I still lived with my mom during high school and I was able to catch it when I could. Eventually, the Season One DVD Box Set became the first box set, of any show, that I ever purchased. It was a show that riveted me, and helped me to figure out who I am and the person that I wanted to become. I could see myself in Justin as I traversed high school, in Brian as I started to gain confidence and try to not let the judgment of others effect me, in Michael as I started to explore my geeky side and felt like those around me didn't really understand, in Lindsay and Melanie as they both showed (and gave me a great example) of female empowerment and strength, in Emmett and Ted with how empathetic they were to everyone around them, even if those same people turned their backs on them. 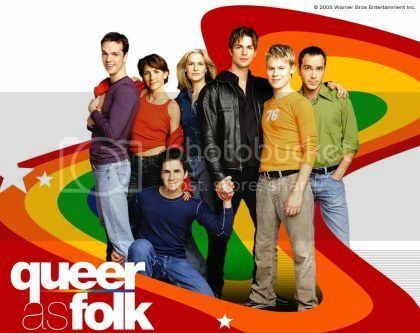 Queer as Folk, like Roswell, was a show that was before its time, and it's a show for the ages as we traverse and continue to fight for LGBT equality in the U.S. and across the globe. I, personally, owe a lot to the actors and creators of QAF for giving my teenage self hope for a better world. My love for Kevin Smith's View Askewniverse started in high school with two of my very best friends. One of those friends' mom would gather us each Friday and we'd spend the entire weekend at her house. Just down the street from the house was a video store, pretty much like the one Randall worked at in Clerks. We'd head down to the video store, pick out some movies to watch, and just stay over for the weekend. It was on one of these weekends that we picked up Clerks, Mallrats, Chasing Amy, and Dogma. It was about the time when Jay and Silent Bob Strike Back was getting ready to come out and we wanted to do our homework. Movie marathons were kind of our thing then, as we would watch all the Halloween or Friday the 13th movies in a row. Why couldn't we do the same with Kevin Smith's films? From the first viewing on, a myriad of inside jokes were born for us. One of my friends nicknames became Lunchbox, I could drop Jay's rap on demand, and Chasing Amy, quickly, became my favorite film of the View Askewniverse. That love was holding strong for years after when I, after my deployment and subsequent move to Sicily, rediscovered the View Askewniverse through the podcasts, SModcast and Tell 'Em Steve-Dave, and the View Askew Message Board. All of that, though, is a story for another time. I came around to Harry Potter a little later than most. During my senior year of high school, I was living with my Dad and stepmom, when, somehow or another, I contracted one of the worst viruses/flu type illnesses that I have ever faced in my life and was confined to my bed for nearly two weeks as I recovered. During that time frame, the one bright light was that my stepmom brought home the first few Harry Potter books. I had seen both the Sorcerer's Stone and Chamber of Secrets movies by that point. 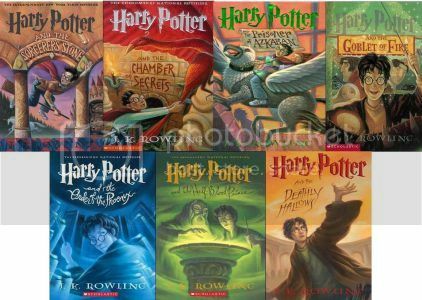 As someone who has always been a fan of reading the book before the film (or in some cases, vice versa), I did quite the opposite with the first few Harry Potter films, but I tore through those books like it was a matter of life or death. It was wonderful to fill in the holes of such a rich and wondrous story. J.K. Rowling built a world that millions across the globe would be everso grateful to escape, and I'm one of them. Throughout the following years, I picked up the books as they released and even picked up Deathly Hallows when I was on port call in Singapore during my deployment (it released mere days before we dropped anchor). I thoroughly enjoy the welcoming embrace of the Wizarding World of Harry Potter, reading the manuscripts that J.K. releases on Pottermore, and the continued expansion of the Harry Potter Universe with the Cursed Child and Fantastic Beasts. By the way, as it isn't a surprise to anyone, the sorting hat put me into Gryffindor. I cannot end this piece without discussing my love of The Nightmare Before Christmas. Given that I was still pretty young in the early 90s, I missed seeing NBC in theatres when it came out. However, I caught it on film a few years later and was enamored with the stop-motion animation, the music, and, basically, the entire feel of the film. Many people look at NBC as a film for kids. In a way, it is, but its message is so much more than that. It's not just the battle between Halloween and Christmas, but the journey of Jack Skellington as he realizes that the grass isn't always greener on the other side and you should appreciate the community of weirdos in which you are already accepted. The film gives that good reminder that, while it's important to try new things (whether you succeed or fail), you shouldn't forget your friends who have been there all along and where you come from. Having left Connecticut at the age of 18 for the Navy, and not residing there since, it's a film that is pretty near and dear to my heart. I hope you enjoyed my trip down memory lane, and look forward to future 5 Fandom Fridays. What are some fandoms that made you who you are today? 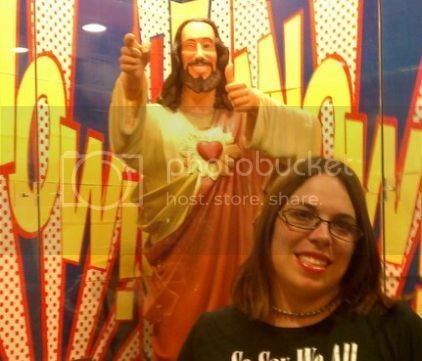 head on over to The Nerdy Girlie's Origin Story.